PCD (previously UTStarcom) didn't have much new on hand that we could touch, but they did have one new phone behind glass, and another similar model displayed on a banner. Both are follow-ups to the Blitz / TXT8010. PCD told us that the Blitz has sold extremely well with Verizon, so it's no surprise that there's a follow-up model, although it's impressive how quickly they're bringing the new one to market. The Blitz hit shelves in August, and already the new models - the TXT8020 and TXT8021 - are expected to come out in the current (first) quarter. 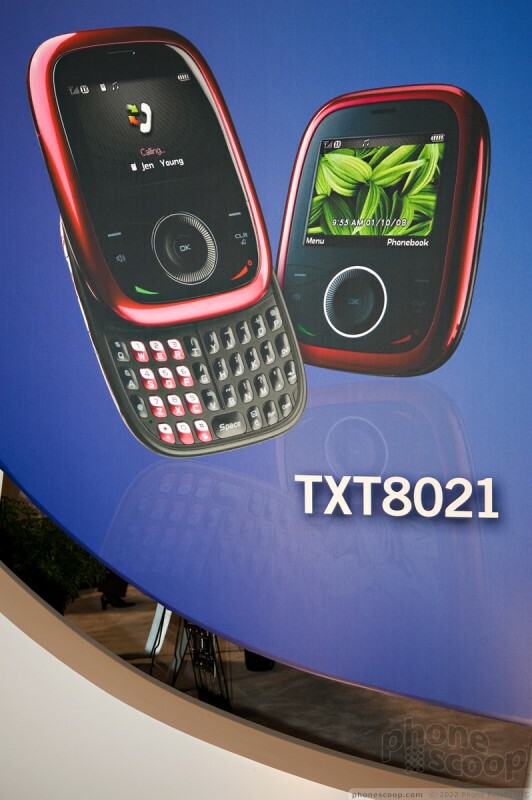 The TXT8020 is the one we know the most about. It has a new body that's narrower, taller, and much, much sleeker. 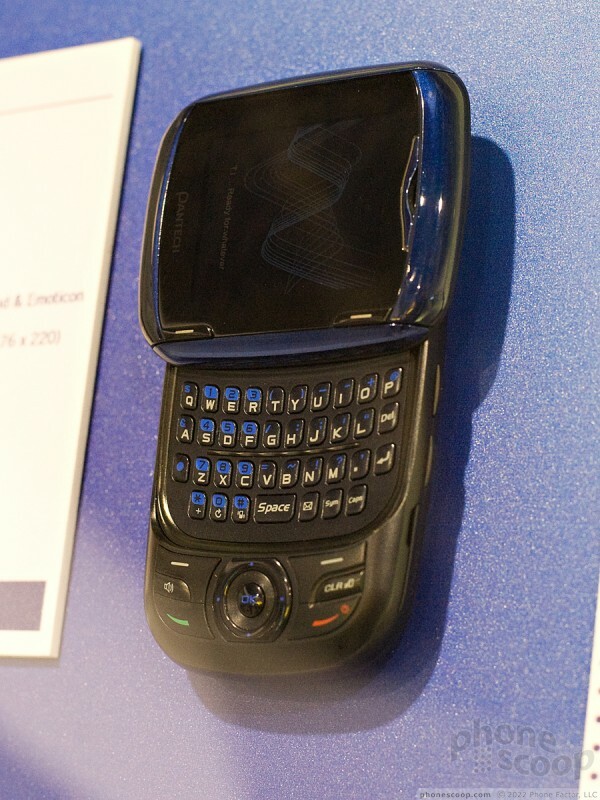 The display also swivels instead of slides; the swivel action works much the same way as LG's VX-9400. 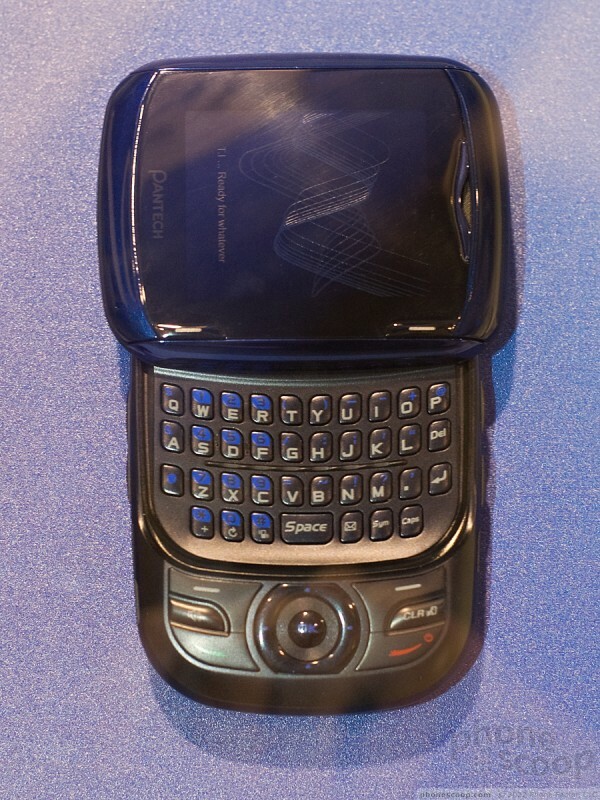 This means the display is in portrait orientation when closed, and landscape when open to reveal the QWERTY keyboard. In terms of features, the TXT8020 adds EVDO data, so opening the phone will be useful not only for messaging, but also for viewing streaming video full-screen. Also new is a text-to-speech function that can read your text messages aloud to you. Otherwise, the specs are nearly identical to the Blitz. 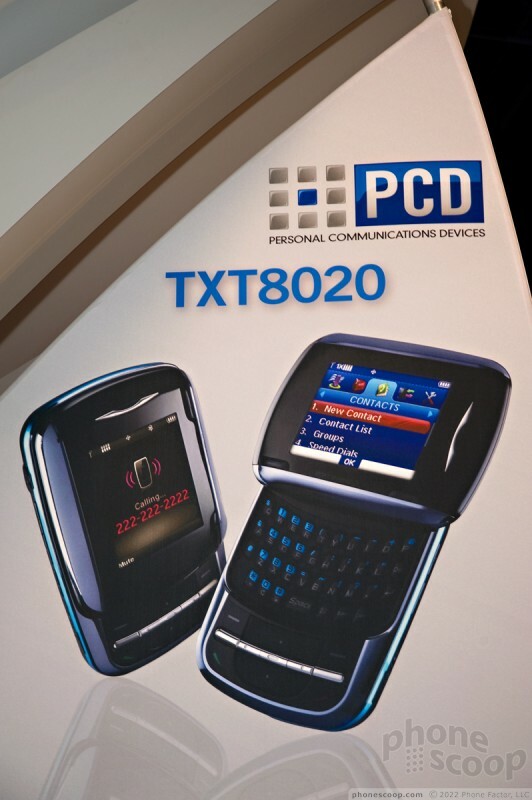 Less is known about the TXT8021, since they didn't have a physical unit on display, nor were spec sheets available. The form factor is a slider just like the Blitz, although the design is clearly much sleeker.